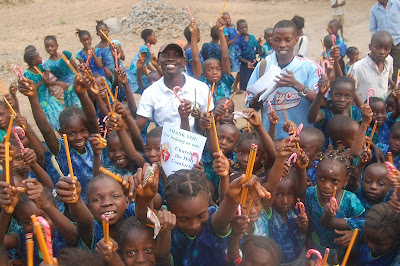 Think what a small gift a candy cane is but look how big of a smile it puts on these kids face. 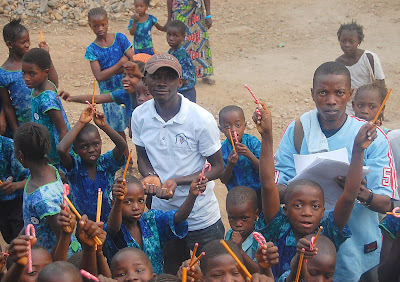 Each student was also provided with pencils to do their school work. 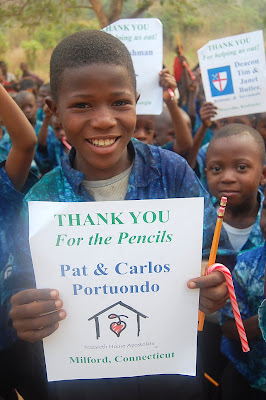 We also had some decorative pencils that were distributed to the older children. 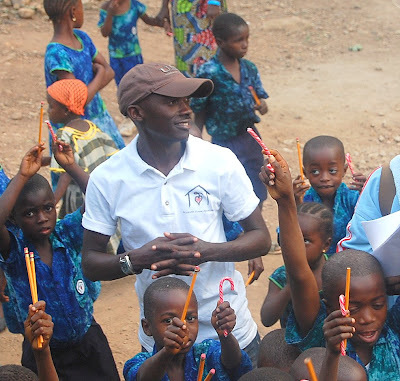 God has shown us through Nazareth House that He works BIG with small. Nazareth House is not a big organization by any means, nor do we want to be. We want to be able to fit into the cracks, where people have fallen and have been left struggling to survive. Being small keeps the administration costs down and increases the benefits to the people in need. No matter the size, Nazareth House needs funding to continue. We are extremely concerned that because of this economy so many have been unable to keep their support at the level of giving as before. Especially since in 30 days our staff and all of our supplies are posed to be set out on the streets. That is why we must invite more and more to join in on the support of this very important work. The more team members the less burden on any one person, the more that can be given directly in aid. Please invite someone today to be a part of the Nazareth House team. We are still looking for 1000 people to give $25 a month. Consider making the commitment today. Thank you.